We are offering a wide range of Injection molding Machines for Automobile Industry. Our offered machines are developed and designed keeping in view the industry laid standards. 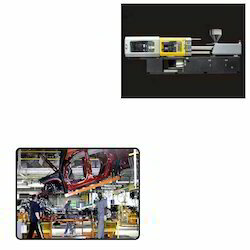 We are offering wide range of Injection moulding/ molding Machines for Automobile Industry. These products are exported to the customers all over the globe and they offer an efficient performance to the customers and are highly reliable. 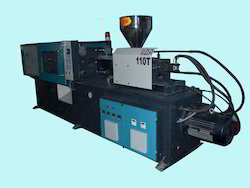 Under this category we offer a wide range of Horizontal Injection Moulding Machine which are manufactured using premium quality raw material procured from a certified vendor base. We also provide customized versions of these products made as per the specifications provided by the clients. These moldings are highly reliable, give optimum performance and are very energy efficient. We use quality raw material and latest technology to manufacture a vast range of widely applicable machines. we are leading manufacturer of automotive injection moulding machine in Ahmadabad, Gujarat, India. We have different range of machine from 30Ton to 600 ton. Looking for Injection molding Machines for Automobile Industry ?